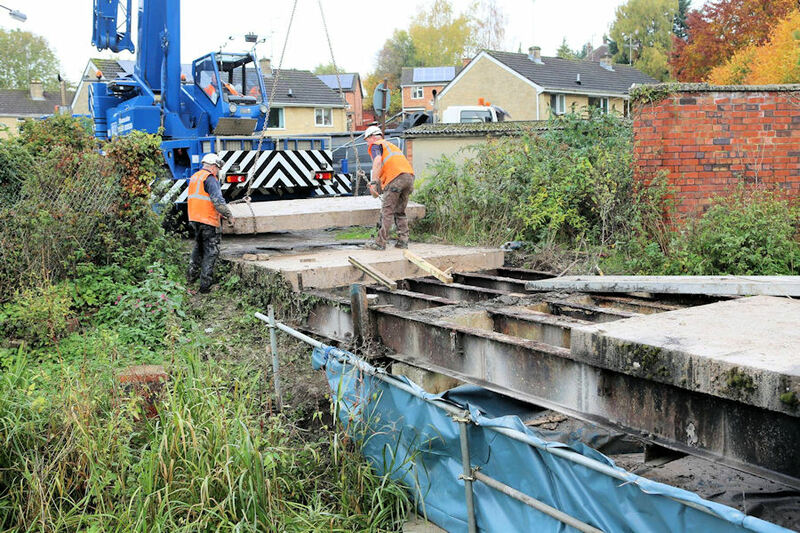 Work on installing a new single pylon bascule bridge at Lodgemore Mill has begun. 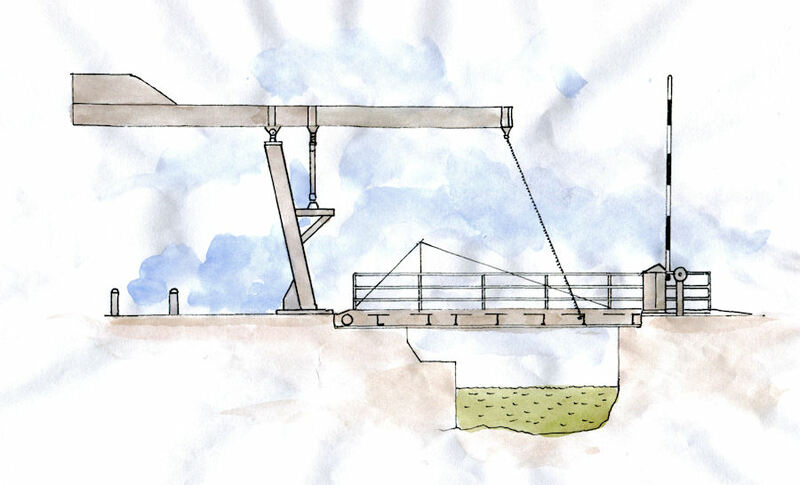 Stroud District Council awarded the contract for the entire project including the clearance of the fixed structure, the ground works and fabrication of the new lift bridge to ECS Engineering Services Ltd. of Huthwaite, Nottinghamshire. The ECS team arrived early on Monday 26th October. At the same time technicians from Farsons Digital Watercams arrived and turned the camera through180° to permit a view of the installation of the locally designed bridge. See picture right. 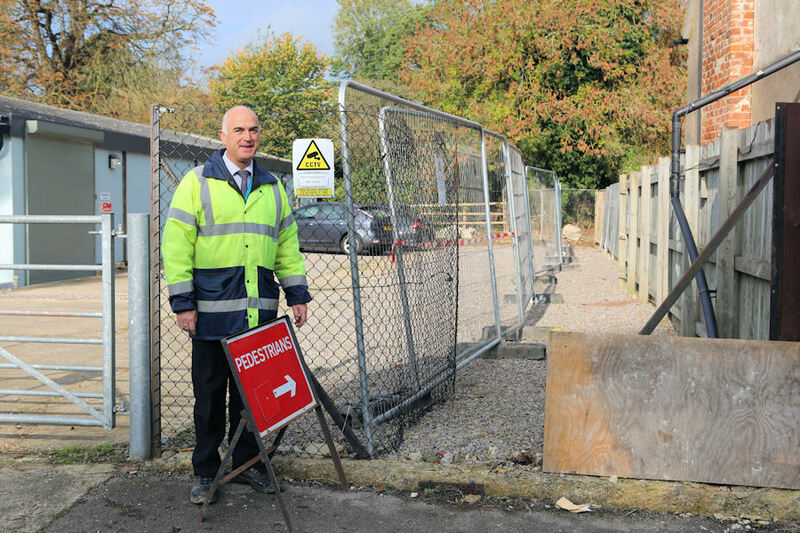 The first tasks, planning and marking the alternative footpaths and vehicle access route around the site, fell to Stroud District Council’s Canal Project Manager Dave Marshall and Volunteer Co-ordinator Paul Weller. Lodgemore Lane which runs from Cainscross Road down into Lodgemore Mill will be closed for the duration of the bridge installation. The canal towpath from Lodgemore Mill to Wallbridge Lower Lock will also be closed until December. 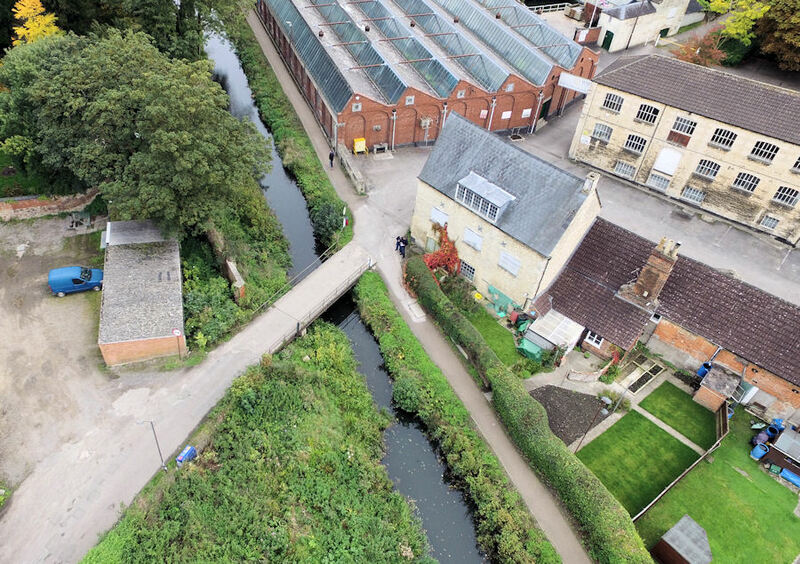 The fourth image, an aerial shot by Kenneth Bailey, illustrates the limited space. Dave explains further, “We have created an extension to the towpath route that will mean pedestrians, runners and cyclists will still be able to travel from Cainscross Road, down Chestnut Lane turning left along the towpath towards Lodgemore and then, turning right along the new footpath extension through C & G Training’s car park, on through Lodgemore Mill and up onto Bath Road opposite the Clothiers Arms. "Again, thanks are due to C & G Training for allowing a new route across their land for cars and light commercial vehicles. The fifth image, shows ECS workers removing the concrete deck of the old fixed bridge. The heavy iron girders being revealed are part of the swing bridge as fitted in 1927 by Stroud engineering company T.H. and J. Daniels.